Today, we here at Anime Maru sat down with ZUN, creator of the Touhou Project series of magical-girls-wearing-hats games, to talk about his creative process, how he comes up with so many characters for each of his games, and, of course, lots and lots of beer. Anime Maru: The Touhou Project series is known for its cute girls and intensely difficult shooting action. Can you tell us a little about how you came up with the idea to combine the two? ZUN: Well, it all started twenty years ago. I was in college at the time, and one day, when I visited a shrine, I saw a shrine maiden sweeping the grounds, and considering how I was drunk at the time, I wondered what it would be like if she had a rain of bullets flying at her head for minutes on end. From there, I programmed the first Touhou game, and the rest is history. From there, I just took every vague archetype I could find—witches, youkai, all that sort of stuff—slapped together a drawing in two minutes, and that is how I filled out the rest of the game’s roster. Anime Maru: Your work is known for a complete lack of male characters, for the most part. Could you explain the reasoning for this? ZUN: Well, it isn’t like there aren’t any men in Gensokyo—it just so happens that, for the most part, they’re all useless. Can’t fire danmaku, can’t fly, they might as well just stick to digging holes in the ground for a living for all they’re worth. Besides, most men look stupid in fluffy hats anyway. Anime Maru: There is a common meme in the Touhou fandom that goes something like “Everyone is gay in Gensokyo.” Can you give us your thoughts on this? 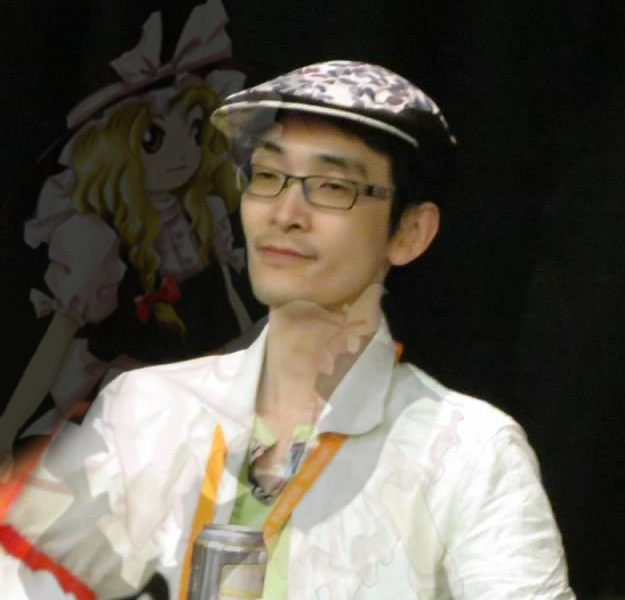 Zun: As per canon sources, no one in Gensokyo is gay. That is my final answer on the subject. Anime Maru: So, you like to drink. How much has this pastime influenced your work on Touhou as a whole? ZUN: I’d like to think that beer has been responsible for some of my more unique ideas. I mean, if I were sober, I never would have come up with something like a clown fairy from Hell who wears the American flag, or an urban legend-themed fighting game! So I’d say that beer is a big part of Touhou behind the scenes. Anime Maru: Thank you for sitting down with us today, but one more question if you would: Are you drunk right now? Anime Maru extends its thanks to ZUN and Sapporo for making this interview possible. If this weren’t animemaru, I would actually believe all of it. There’s no way he created it all without being high or drunk. Did you even read his comment? Wait……This interview was real right? Right?